The cutest cars to ever hit the road are back with more adorable looks than ever! 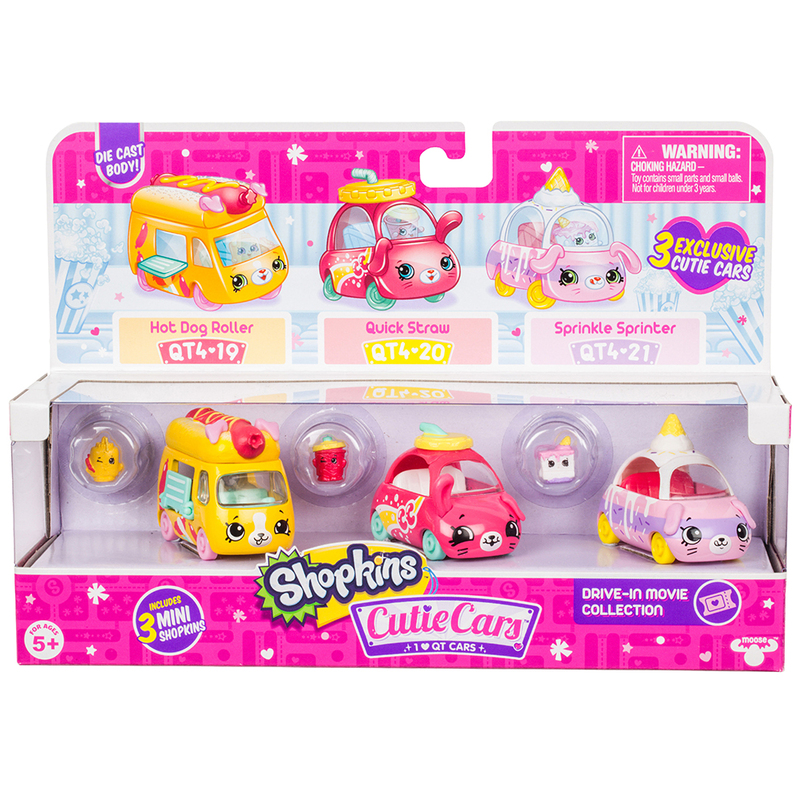 The Shopkins Cutie Cars™ is full of sweet rides just waiting to drive out the door with their removable mini Shopkin at the wheel. 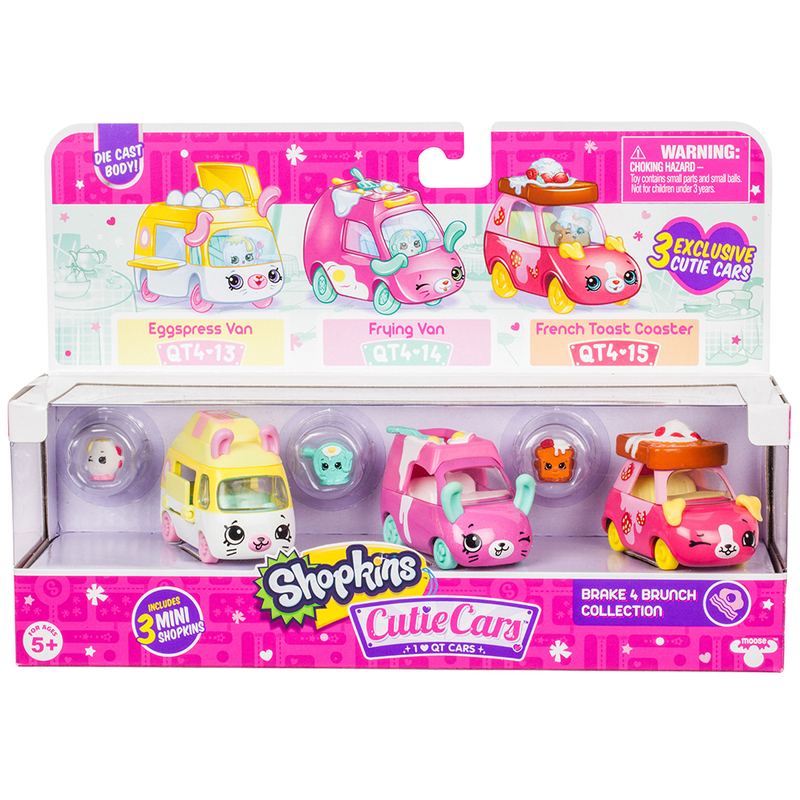 These cute wheeled collectibles come in a variety of fun themes and colorful paint jobs plus there are more exciting new models ready to be released onto the road! 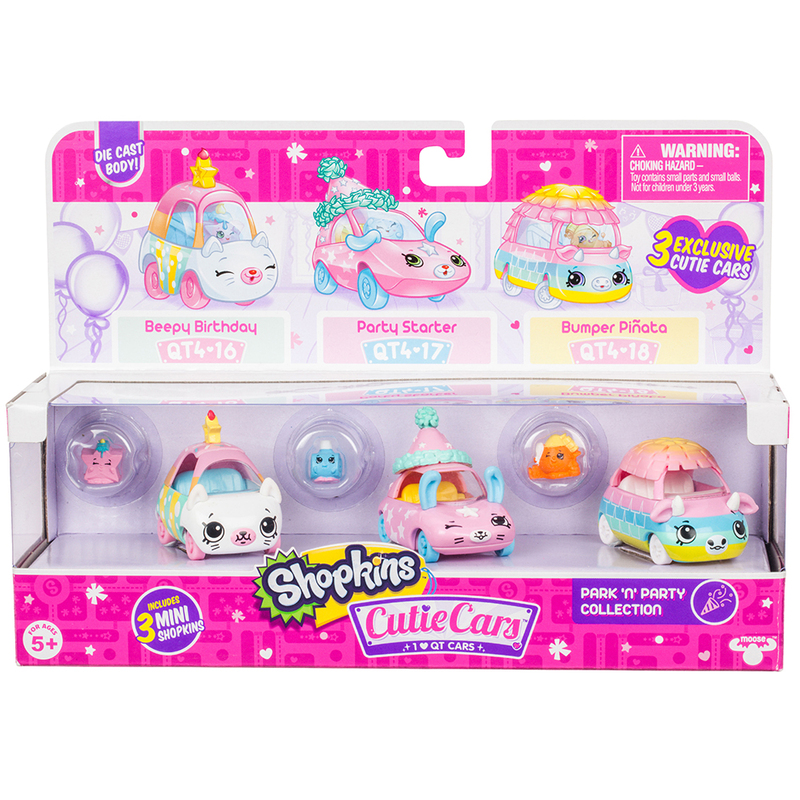 The Cutie Car 3 pack Collections bring together 3 Cutie Cars in fun themes! Join them for Brunch, at a party or see a movie at the drive-in!